Pesto is deceptively easy to make and so tasty, you’ll wonder why you don’t make it more often. 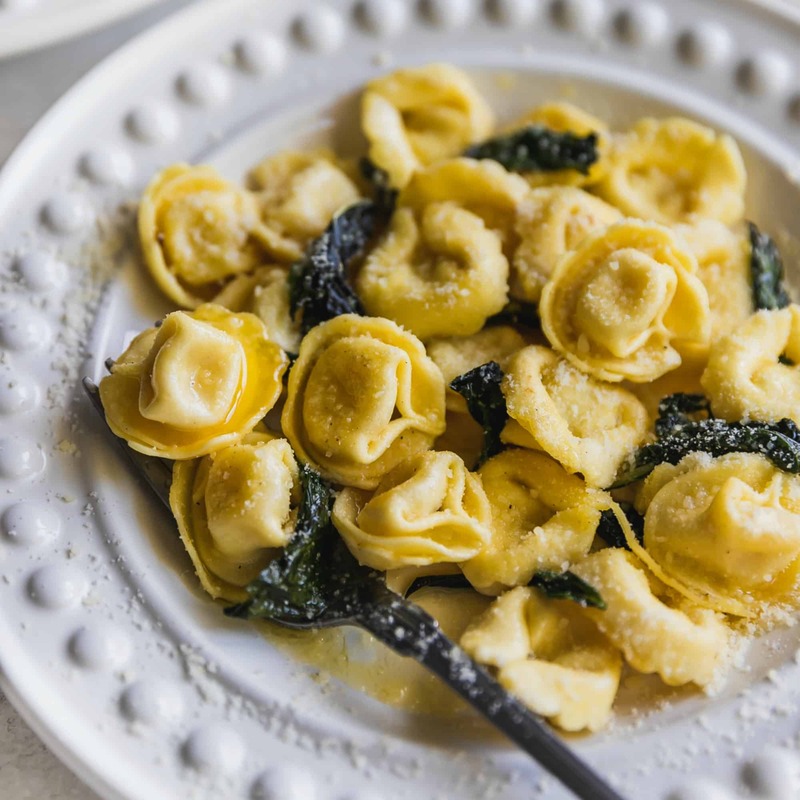 Whether you stir it into mayonnaise for a sandwich, mix it in with cheese for a dip, or add it to your next creamy pasta, it’s rich and delicious and ready in no time at all. Traditional Genovese pesto is a basil-based sauce which originated in Genoa, Italy. 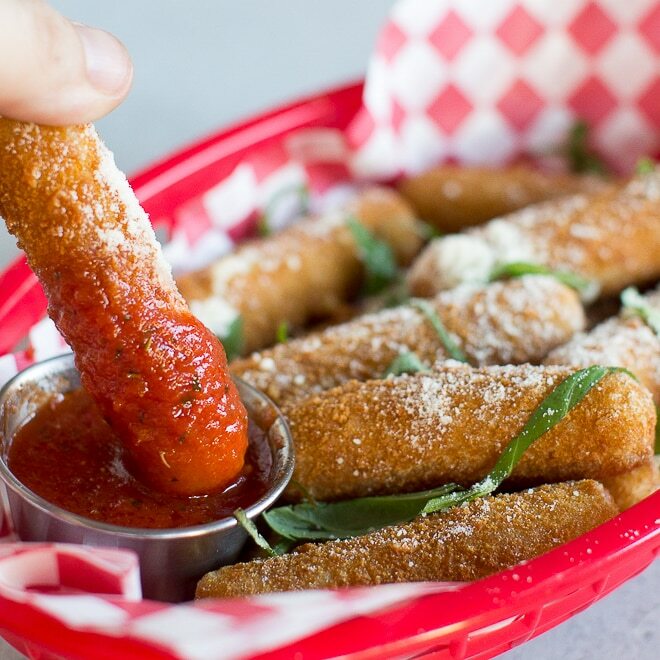 Along with basil, it contains garlic, olive oil, a hard cheese such as parmesan, and pine nuts. Since pine nuts are so expensive, I always use walnuts. 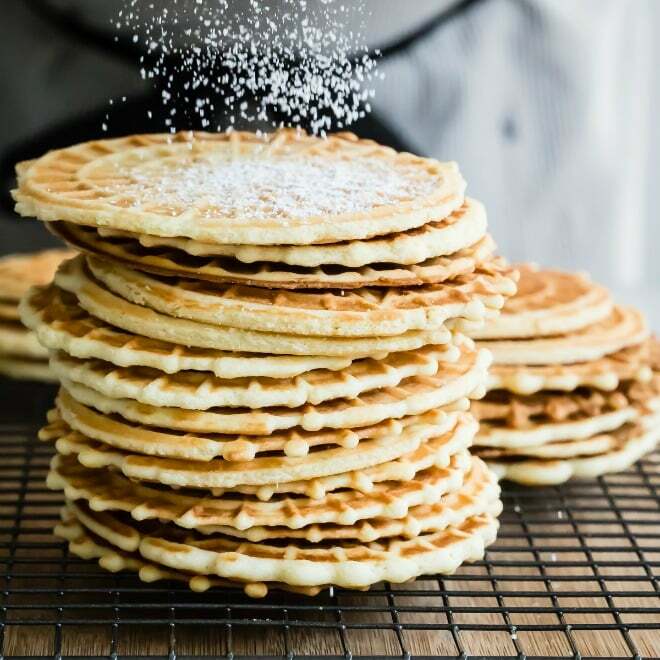 Almonds, pecans, and hazelnuts work too. Star by toasting unpeeled garlic cloves and walnuts to amp up their flavor (this is optional but recommended). Next, combine the garlic and nuts in a food processor. Add basil, garlic, olive oil, and cheese. Blend until smooth and season to taste with salt and pepper. How do you keep basil pesto from turning brown? Since basil can easily turn brown when blitzed in a food processor or blender, I add parsley to my pesto. This ensures a bright green color no matter what. Beyond that, oxygen turns pesto brown. You can prevent this by adding a small layer of olive oil to the jar of pesto before you put it in the refrigerator. 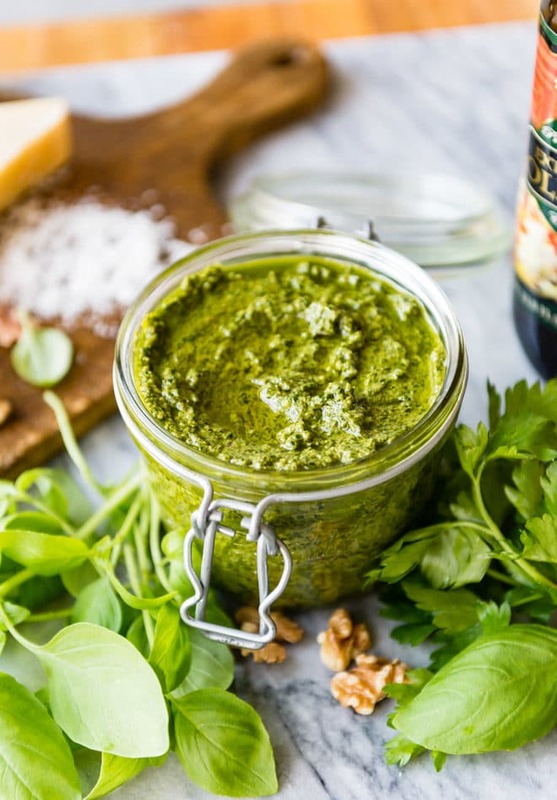 Basil Walnut Pesto is freezer-friendly! Pour into a jar and top with olive oil to keep air out. Be sure to leave enough space at the top of the jar for expansion. Thaw in the refrigerator when you’re ready to use it. This is especially helpful if you grow basil in your garden. You can make pesto and freeze it for the cold winter months when you want a taste of summer! Yes! 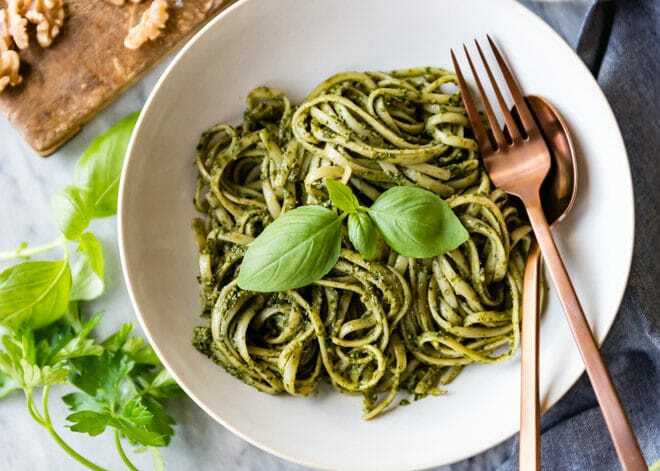 Everyone has their own definition of “healthy,” but I like pesto because it is full of whole-food ingredients and can be modified depending on your diet. 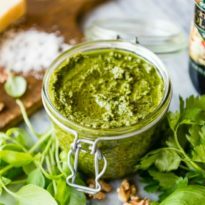 Pesto is naturally gluten free, vegetarian, and keto. To make pesto vegan or paleo, just leave out the cheese. Watch this video and see how fast Pesto comes together – and discover 4 delicious ways to eat it! 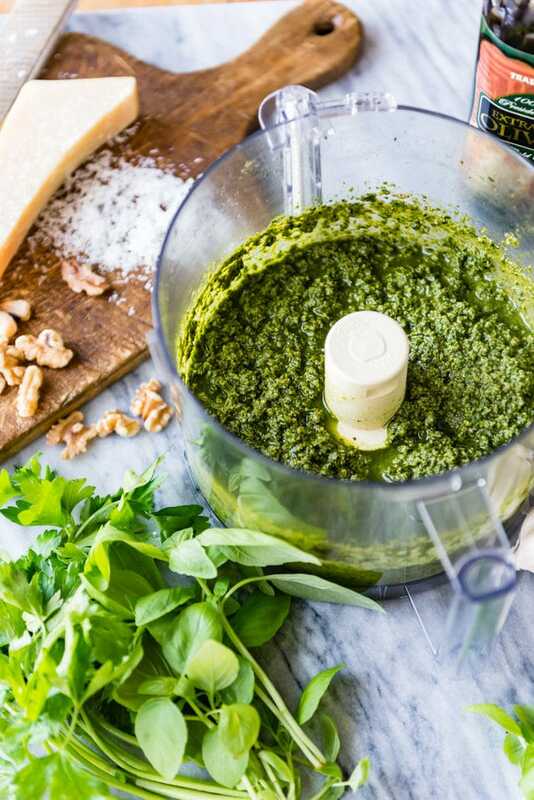 Homemade pesto is such a wonderful, simple treat – love it!! Yours looks absolutely amazing. Hi – I love the pictures you took for this post, so colorful! I always use walnuts for pesto, too, pine nuts are silly expensive where I live as well. Pinning. What means the c in 1c. olive oil? Hi Tony, it means cup – 1 cup of olive oil. It’s a standard abbreviation we use in the US, but you are NOT the first person to ask about this. I’m trying to go back and fix my old recipes and spell that out. Sorry for the confusion! Thanks for bringing this to my attention. I have kept it for up to a week in the fridge or frozen for much longer (indefinitely?). 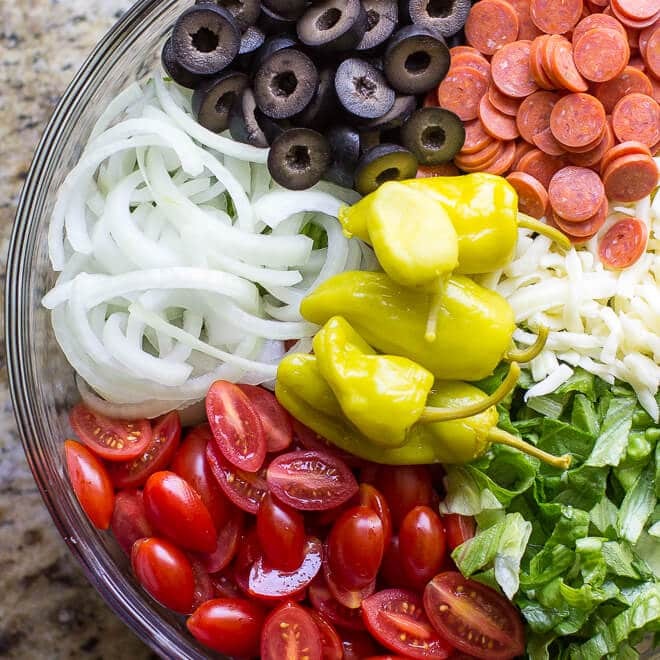 I would add a thin layer of olive oil over the top of it in the jar, to preserve the bright green color. I hope that helps! I hope you like it. It’s absolutely my favorite. I will literally eat it plain out of the jar. Have a great weekend! Way too peppery.i suggest less basil or pepper. Or both. The basil already has enough of a peppery taste. Hi Greg, sorry to hear that! Definitely a personal preference. I make it just like this and eat it with a spoon, but I will modify the recipe with your feedback to warn people. Thanks for letting me know. Came here from your Noodles and Co pesto cavatappi copy-cat recipe — delicious! My wife and I found it a *tad* too oily, but it’s also possible we didn’t add the full 6 cups of greens, it can be hard to tell exact measurements with those. Still our new go-to pesto recipe, though! Thank you so much, Dan! Sorry about the oiliness. I will retest and see how much I can reduce the amount of oil. I was planning on making it today, anyway. Thanks a lot and have a great weekend! Instead of freezing Can you Can this in a water bath? Hi Theresa! I am not an expert in canning, but I do have a really great book put out by Ball on the subject (it’s called the Ball Blue Book Guide to Preserving). This is what I can find in the book. They do have a Pesto recipe, but it’s in the “freezer” chapter. They also talk a lot about low-acid vs. high-acid foods, and based on the pH scale they have, I believe herbs would fall under “low acid” and would need to be pressure-canned, not just a standard water bath. Again, not an expert here but that is the info I’ve found in my canning book. I hope that helps! Thanks for your question Theresa! Whoa!!! 6 cloves of garlic???? A girl (or recipe) after my heart. I use garlic in every dish except my breakfast dishes. AND I use a lot of it. Your pesto recipe got my attention. I will follow that rec and go you three or more cloves added to the 6 your recipe posts. Reading down thru the comments in regards to canning. I home can. Do yourselves a favor and do not can anything that’s not recommended by the USDA AKA the Ball Blue Book on Canning. There’s lots of stuff on the INTERNET from non-tested sources regarding canning many products. Don’t go there. The pH level and temperature are very critical to reducing the production botulin toxins that thrive in low acidity and in a partial vacuum. Most things that can not be canned may be frozen but it’s still best to blanch veggies first. Just eat it fresh. It’s so much simpler. From the CDC: What is botulism?